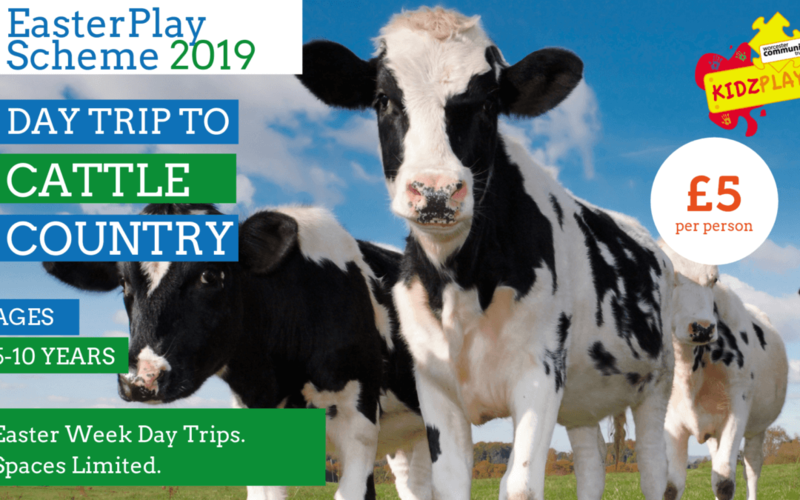 Worcester Community Trust will be running it’s Easter Kidzplay scheme this April, offering a day out to Cattle Country with our experienced and trained team. A packed lunch will be provided and the chance to meet other young people and make new friends. 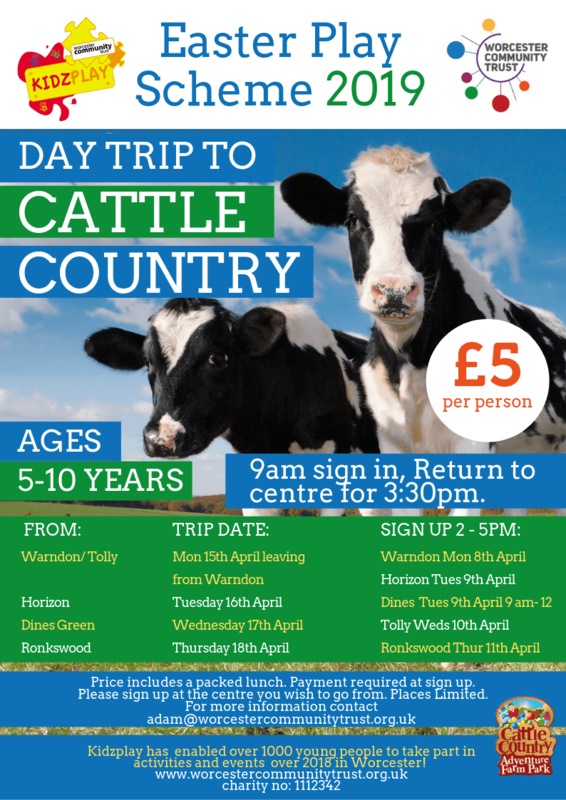 This Easter trip is aimed at those aged between 5-10 years old.